This sun lounger was made with urban living in mind. It’ll bring some fun to your outdoor space and, it’s super-affordable, too. Tice has a soft-looking shape and bold colour options. Go fbright with chartruese, or try teal for a striking look. 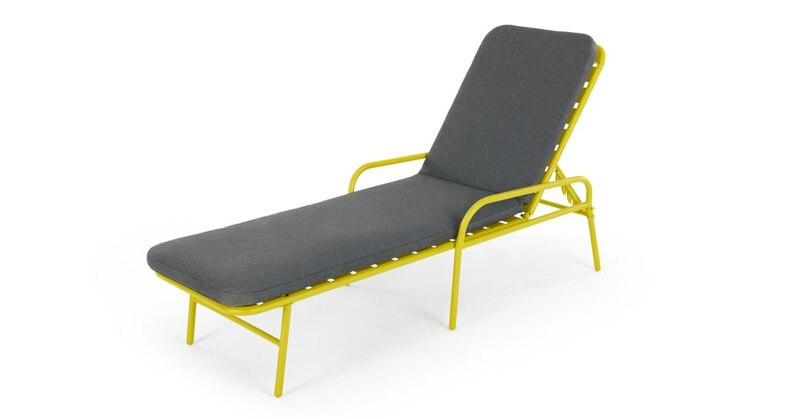 In powder coated steel, you can leave this sun lounger outdoors all year round.